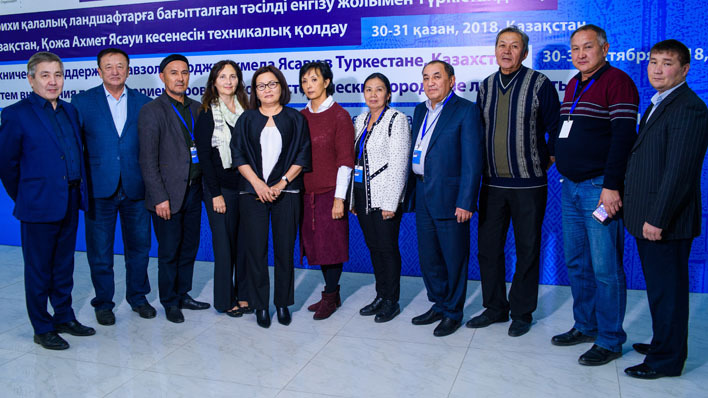 The UNESCO Almaty Cluster Office, with financial support from the Netherlands plans to organize a national workshop in Shymkent, Kazakhstan, on 30- 31 October 2018. The main aim of the workshop is to familiarize the concerned stakeholders, including local, national, regional, public and private actors and policymakers in the urban development processes, with the UNESCO Recommendations on the Historic Urban Landscape as a key tool for the development of the World Heritage-listed historic cities. 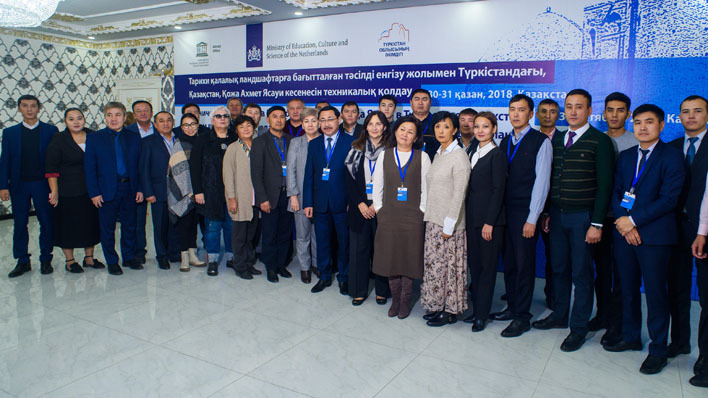 The workshop will also support closer coordination of the efforts to protect the World Heritage sites in an urban environment and help create a regulatory, supervisory and planning structure with the appropriate authorities. 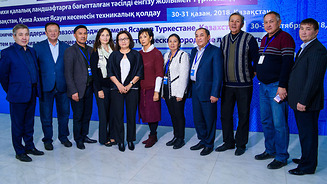 Representatives of the Ministries of Culture and Sports of Kazakhstan, RSE Kazrestavratsii, Akimats of the Turkestan region, Directors and staff of the National Museums, persons responsible for the sites included in UNESCO’s World Heritage List and international expert from UNESCO’s World Heritage Center will participate in the workshop. The Mausoleum of Khoja Ahmed Yasawi, of the distinguished Sufi master of the 12th century, is situated in southern Kazakhstan, in the north-eastern section of the city of Turkestan (Yasi). It was built between 1389 and 1405, by order of Timur (Tamerlane). Construction of the building was halted in 1405, with the death of Timur, and was never completed.